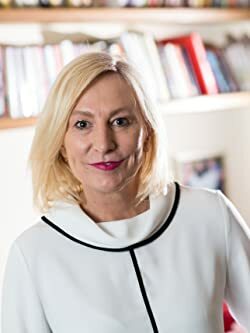 I’m pleased to welcome Fiona Perrin today who is going to share #TenThings about herself and her writing. 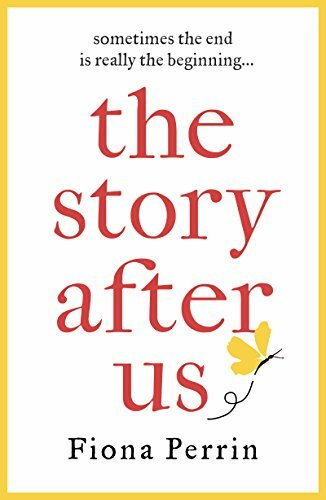 Her first novel for Aria, The Story After Us, is available now. I must say, I highly approve of number 8! Thing 1: The eleventh commandment in my house is ‘thou shalt not take the mickey out of your mother’. I am a mum and stepmum to four teenagers. It’s necessary to lay down the law like God. Thing 2: After a fairly full-on career in industry, I now have what people call a ‘plural’ job – part Board member, part sales and marketing consultant, part author. This is heaven after writing in the evenings and weekends for as long as I can remember. Thing 3: I’m divorced (and very unconsciously uncoupled a long while back) but The Story After Us is not my story. It is however, inspired by my very modern blended family full of step-parents and kids who are all quite good mates mostly. Thing 4: My dog is called Soppy Wagster and she is a springer spaniel. I intend that all my books will feature a springer spaniel. Thing 5: My cat is called Ducky von Fluffy and she mostly kills things that are bigger than her (rabbits, crows and similar) and brings them through her cat door. My books will not feature a cat like her. Thing 6: I love reading and like to think of myself as ‘high brow/low brow’ which means that I’ve done an English degree but read a lot of books that people are snotty about for no reason. Thing 7: I really like parties. Particularly those which involve several hours on a dance floor. Thing 8: Travelling is a bug. I have recently made it a THING with my husband that when we come back from one trip we need to book another one straight away. I’m not sure he gets that this is a THING yet. Thing 9: I love writing so much. Being able to sit at a desk and write the comedy and drama of a whole bunch of made-up people that start to seem real, is just great. I feel very lucky. Thing 10: I find Instagram a very confusing place even though I think I’m down with the kids. My own children spend a lot of time laughing at me squinting at the screen and asking about filters, therefore violating the eleventh commandment (see thing 1 above). Fiona Perrin was a journalist and copywriter before building a career as a sales and marketing director in industry. Having always written, she completed the Curtis Brown Creative Writing course before writing The Story After Us. Fiona grew up in Cornwall, hung out for a long time in London and then Hertfordshire, and now writes as often as possible from her study overlooking the sea at the end of The Lizard peninsula. She is currently writing her second novel for Aria.